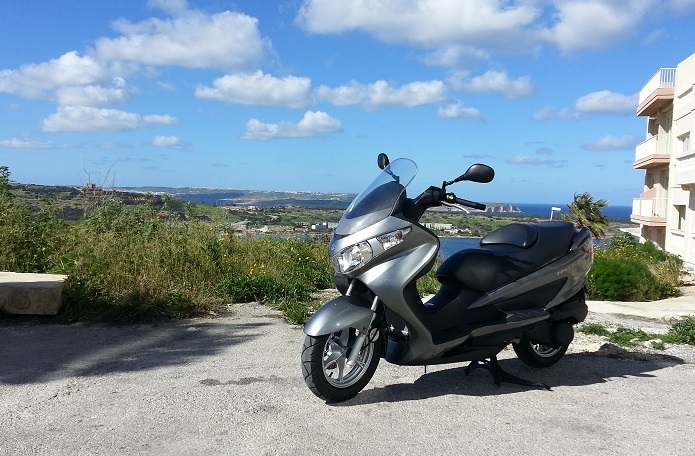 Scooter was first registered in UK but lately been imported and registered in Malta! This is a rare example of this 2010 Suzuki Burgman 200cc, in mint condition and with very LOW MILEAGE!!! Suzuki, a Japanese manufacturer, has been in this industry for quite some years now! The Japanese are known for their technology and for the never ending quality they produce their vehicles with! This Burgman does reconfirm all this!! A great day to day scooter with enough power not to feel left behind from any other vehicle! Even though this comes with just a 200cc engine, it gives enough pleasure to ride and at the same time give that power needed to overtake. You can also read a review about this particular scooter here!